A leading British vape advocacy group has called for the country to take a harder line at next week’s WHO tobacco control conference. According to Sarah Jakes of the NNA, it’s time to push back against anti-vaping laws supported by the UN agency. Vapers in the USA have bigger problems, however, as the FDA ratchets up its attacks on the industry another notch. Meanwhile there’s even more evidence that the EU’s hated vaping regulations are doing much more harm than good. The FCTC’s COP8 summit in Geneva presents a great opportunity for UK delegates to promote the UK’s dramatic success with e-cigarettes. The New Nicotine Alliance (NNA) is calling on UK delegates to communicate to global public health representatives the clear and unequivocal message that e-cigarettes and other alternative nicotine products are far safer than combustible tobacco and should be treated as such. I was one of those agitating for the FCTC back in 1999-2003. Generally, the FCTC doesn’t do what normal international treaties do – address some transboundary issue like climate change, international trade or intellectual property. Seventy leading public health experts and anti-tobacco campaigners have urged the World Health Organization to adopt a more sympathetic attitude to ecigarettes and other alternatives to smoking, “which have the potential to bring the epidemic of smoking-caused disease to a more rapid conclusion”. Their joint letter to Tedros Adhanom Ghebreyesus, WHO director-general, is intended to influence this week’s conference of the Framework Convention on Tobacco Control in Geneva, which frames international health policy on the issue. The Eighth session of the Conference of the Parties (COP8) to the WHO Framework Convention on Tobacco Control (WHO FCTC) is finally here . I am happy to see my fellow harm reduction advocates there, hopefully they will be allowed to enter. The FCTC recognizes harm reduction as an integral part of tobacco control. I think it is time to apply this strategy! We should integrate harm reduction strategies into existing tobacco control policies and to accelerate the decline in smoking prevalence worldwide. The first problem with these claims, which I think most people get, is that “epidemic” refers to a disease, and these behavioral choices are not diseases. Martin McKee the professor of European Public Health at the London School of Hygiene and Tropical Medicine. He is well known for his willing ignorance towards pro-ecig evidence and has a strong anti-vaping stance. But he has taken his ridiculous actions to a whole new level. First News carried an interview with him where he speaks from an alternate reality. First News is a weekly, colour newspaper for young UK readers. It claims it “aims to present current events and politics in a child-friendly format.” In 2013, it had a readership of around 60,000, similar to the Planet of the Vapes newsletter. It’s the most terrifying statement by the FDA on vaping since vapor products first came onto the market. That’s according to Oliver Kershaw founder of the legendary online vaping resource: E-Cigarette-Forum.com. 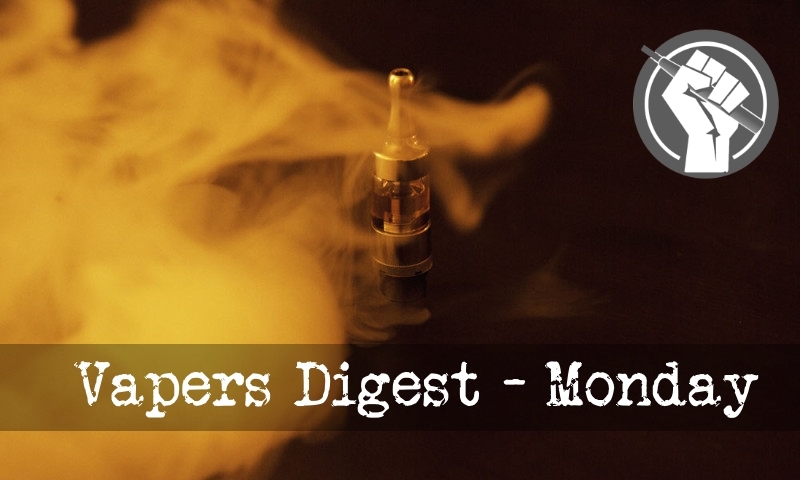 In mid-September FDA Commissioner Scott Gottlieb dropped a bombshell, launching a “historic enforcement action” against Juul and other pod-based e-cigarette companies. Which the regulator says, are playing a determinant role in the reported “epidemic” of teen vaping. Ireland risks missing its tobacco-free target date of 2025 by 27 years, the HSE has warned. The shocking delay is putting new pressure on Health Minister Simon Harris to soften his stance on e-cigarettes to help more smokers quit. The Government is committed to being “tobacco-free” – with less than 5pc of the population still smokers – by 2025. Smoking could soon be banned in more of Canberra’s public spaces, with Health Minister Meegan Fitzharris focussed on having some of the toughest laws in the country. VapeTithing ~ FDA’s New Anti-Vaping Campaign Is a Misguided Clone of “Reefer Madness” ~ Dear FDA ~ The Continuous Lie ~ E-Cigarettes and Public Health Concerns ~ Science lesson: The absurdity ~ The War on Nicotine ~ ALA Updates Popcorn Position ~ Fed Up | E-Cig Forum Founder Rakes FDA Over Crackdown ~ The sweetness of e-cigarette flavors is more likely to get teens hooked than the nicotine ~ FDA Ignores Improving Health with E-cigarettes ~ Remember Kids, Science Is Science! Meanwhile the FDA was forced into another climbdown over its Deeming Regulations deadlines, as a key computer system collapsed under the load.